Since bringing roller derby back to Long Beach five months ago, the Long Beach Derby Gals (LBDG) have proven that they have the talent, the passion and the new management to put the Harbor area’s only derby league on the map. All they needed was a home that gave them room to grow–even if that home is in neighboring San Pedro. As of last month, the Derby Gals are no longer holding practices or bouts at the iconic Queen Mary Dome, which has been the de facto home of roller derby in Long Beach since the now-defunct Long Beach Roller Derby league used it for two partial seasons starting in 2009. 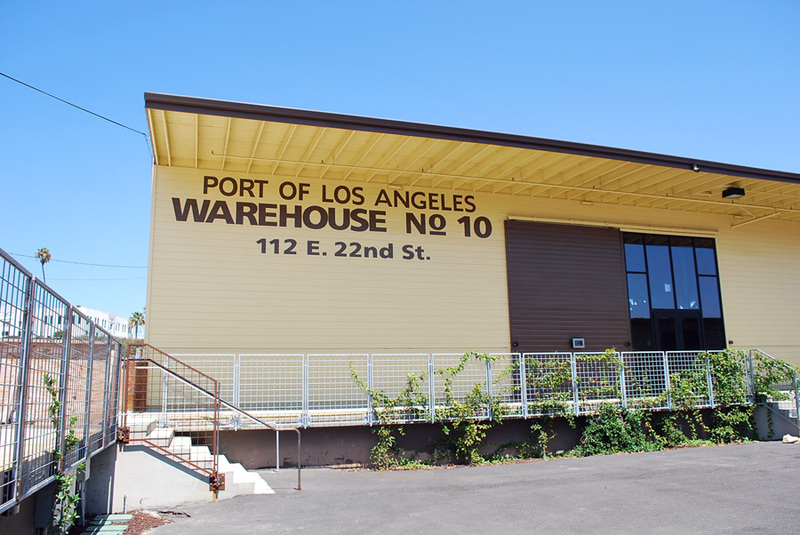 Instead, LBDG have moved across the Vincent Thomas to the Port of Los Angeles, where year-round arts market Crafted has offered to rent out an extra warehouse on its property to the league at a fraction of the Dome’s cost. In addition to charging LBDG $10,000 for each event, the Dome’s management was unable to offer parking passes for players and many girls coudn’t afford to pay the $15 parking fee for each of the three weekly practices. Villa also notes the many restrictions put upon the league that prevented them from hosting events the way they would have liked. After losing money on the last bout, which packed around 2,000 paid attendees into the former Spruce Goose hangar for the third time in as many months, it became clear that a new location was crucial to everyone’s vision of an expanded league. Villa said she and her business partner looked around for other places that could potentially host derby bouts–empty buildings next to the airport, warehouses in the Port of Long Beach–but none of them were cost-efficient or structurally proper. Then they found Crafted. Starting with an open-house roller disco fundraiser this Saturday (think of it as a themed, open-skate roller rink), the Derby Gals are inviting the public to see their new headquarters as they gear up for their debut San Pedro game on September 14. Crafted has a long-term lease on two former port warehouses that sit at the end of Harbor Blvd. by the Los Angeles waterfront and have a lot of plans for making the space a destination in the quickly revitalizing area. In addition to the restored Red Car line, which ends across the street, and the U.S.S. Iowa, which is now permanently docked up the road, San Pedro is expecting major face lifts to its downtown area and main attractions, from Ports O’ Call to the Maritime Museum. LBDG plans to be a part of the area’s second coming and looks to other successful derby leagues like the L.A. Derby Dolls, who have had their own space in Downtown L.A. for the last 10 years, as inspiration. But Villa dismisses the idea that the league is no longer a Long Beach institution, though a name change that is representative of both communities continues to be a possibility. She hopes that the move will allow the league to be supportive and inclusive of both cities, especially since three girls from Pedro already play for the league and Villa hopes to encourage more fresh meat from around the Harbor area to participate.